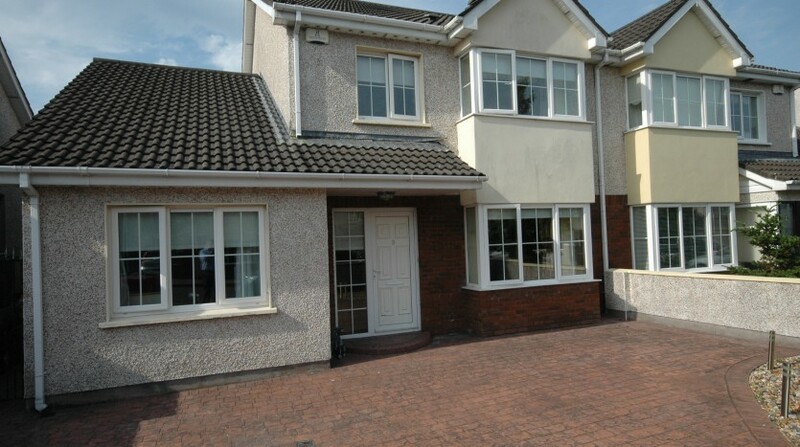 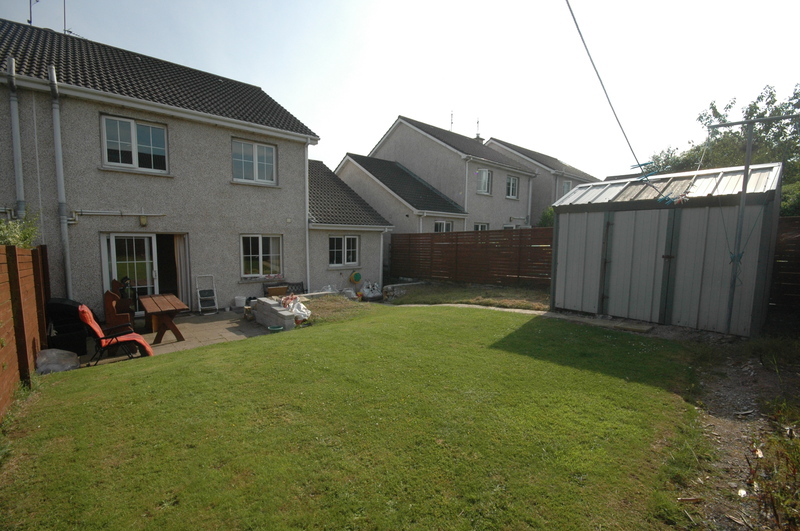 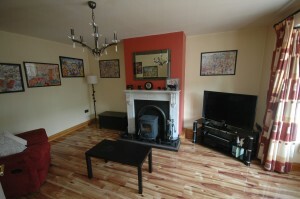 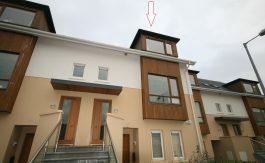 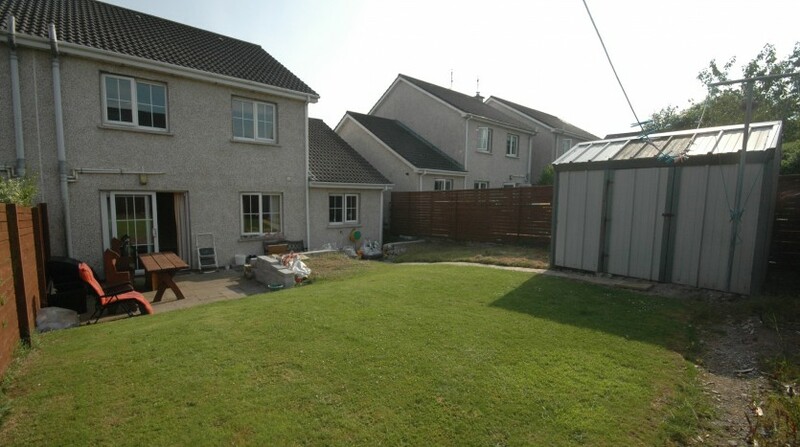 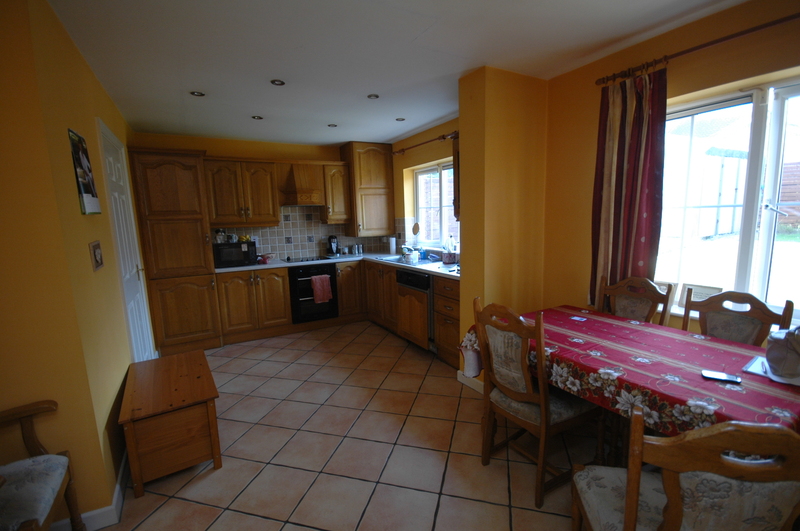 McCarthy & McGrath are pleased to present this spacious 3 bedroom semi-detached house to the market. 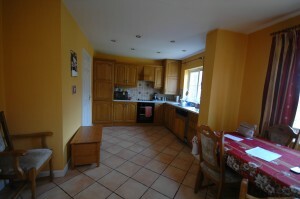 This beautifully appointed family home is located within walking distance of all local amenities. Road and rail networks linking to Cork City and beyond make this the ideal commuter town. 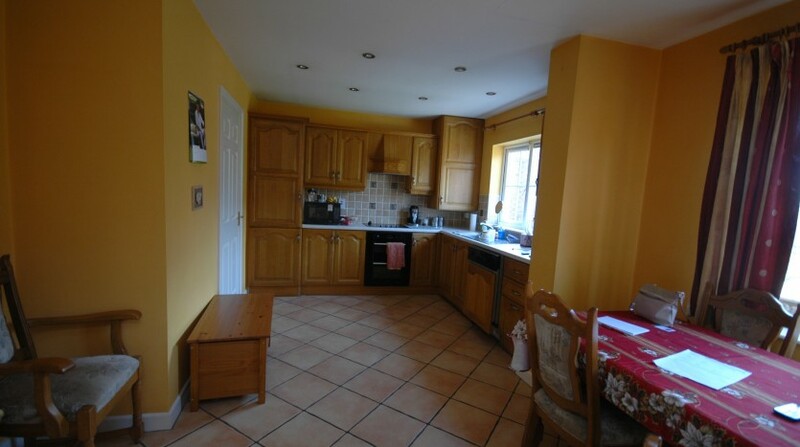 On entering the property you are immediately greeted by a well-proportioned bright hallway. There are three reception rooms. 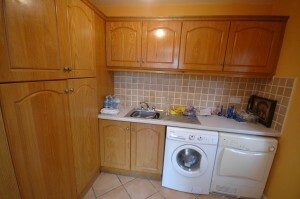 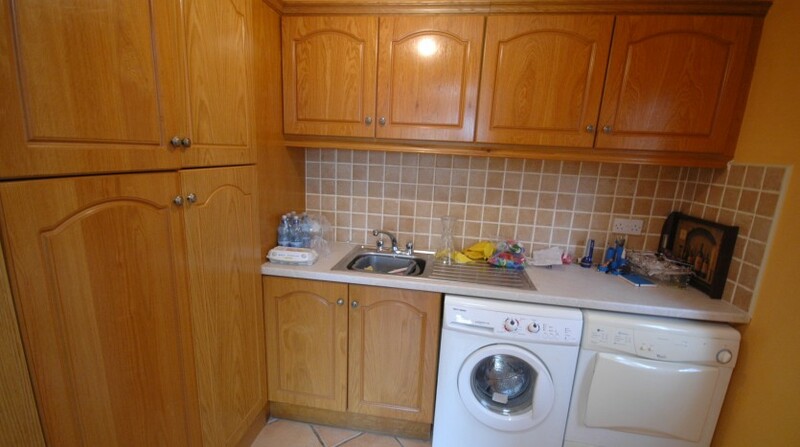 To the rear of the property is a kitchen/dining room with a large utility room. Upstairs boasts two large double bedrooms with fitted wardrobes and one spacious single room. 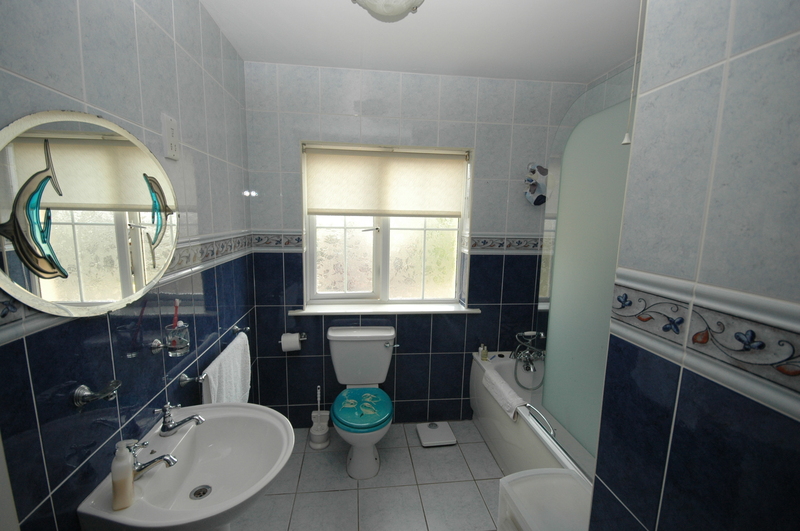 There is a fully tiled family bathroom and the main bedroom has an ensuite, WC & shower. 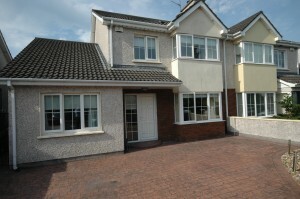 To the front of the property is a walled in brick effect driveway. 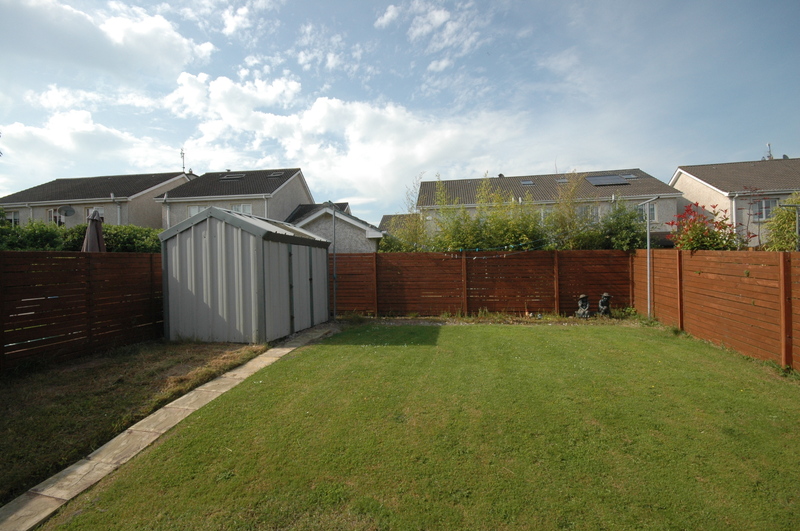 A spacious private rear garden with patio and steel shed completes the outdoor space. 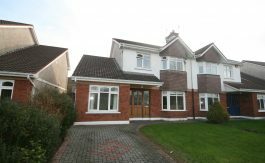 A short stroll from Maple Road brings you to the heart of Carrigtwohill with an abundance of shops, food outlets, local hostelries, sports facilities, schools, religious centres and other commercial activities. 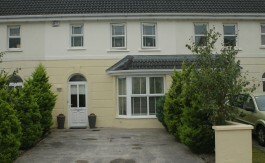 Carrigtwohill train station is there to take passengers to Cork City and Midleton. 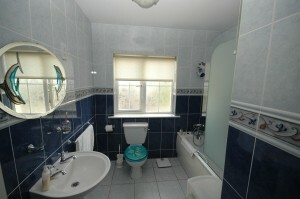 Hall: Tiled floor, storage, Guest WC, tiled wall and floor, WHB. 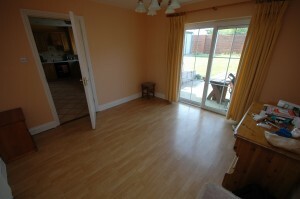 Family Room/Study: Built in desk and storage, laminate wood floors, curtains and blinds. 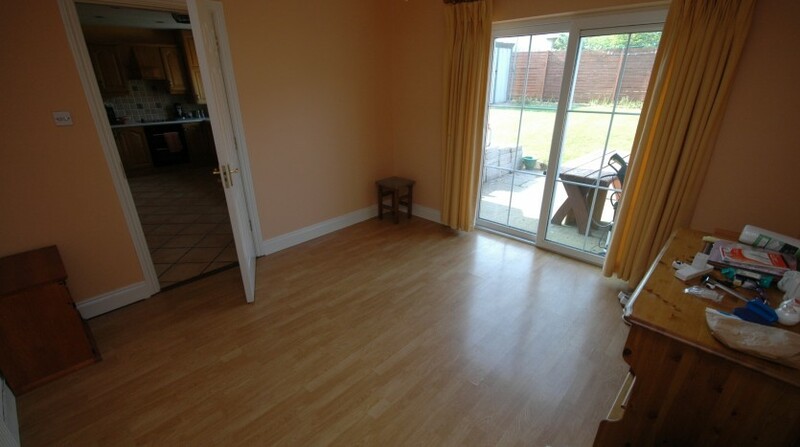 4.2m x 2.7m. 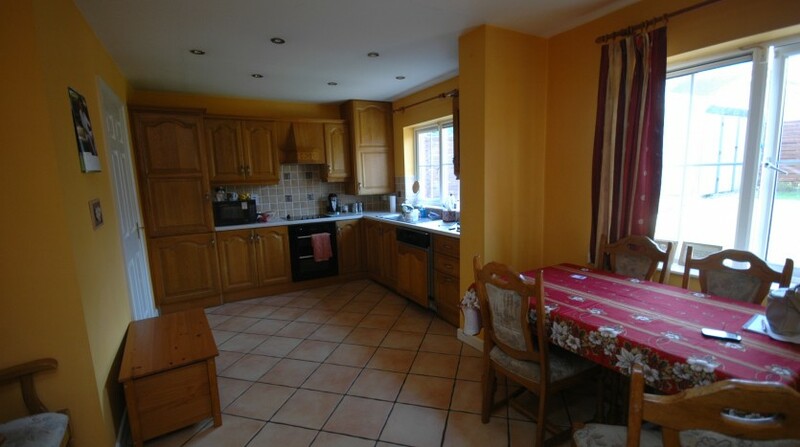 Kitchen/Dining Room: Tiled floors and splash back, fully fitted oak kitchen units, built in hob, integrated fridge freezer and dishwasher. 5m x 3.6m. 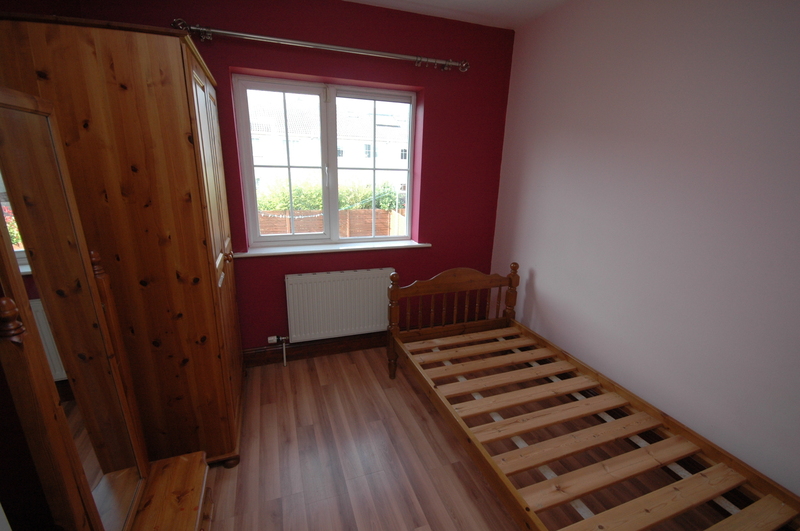 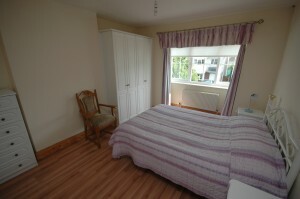 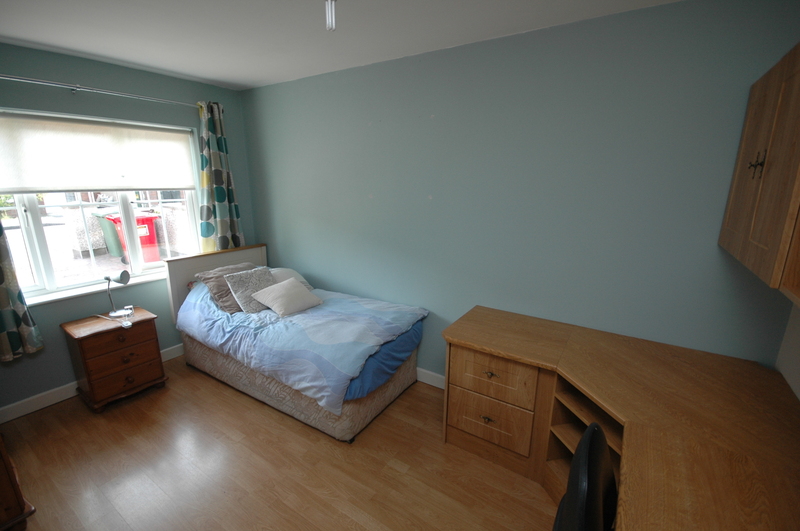 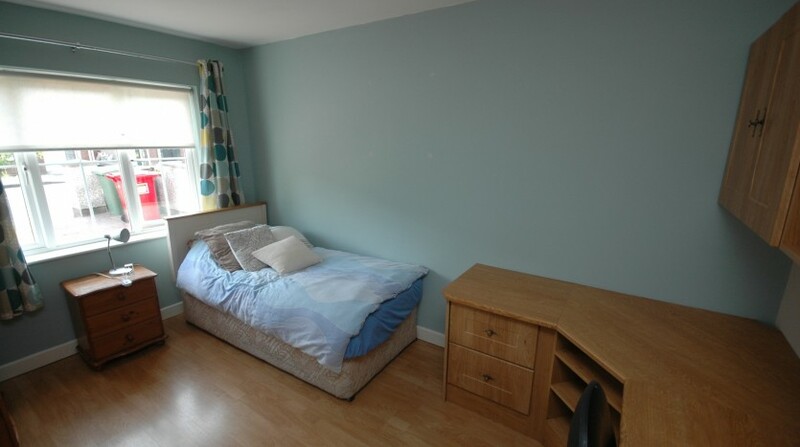 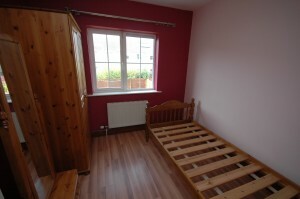 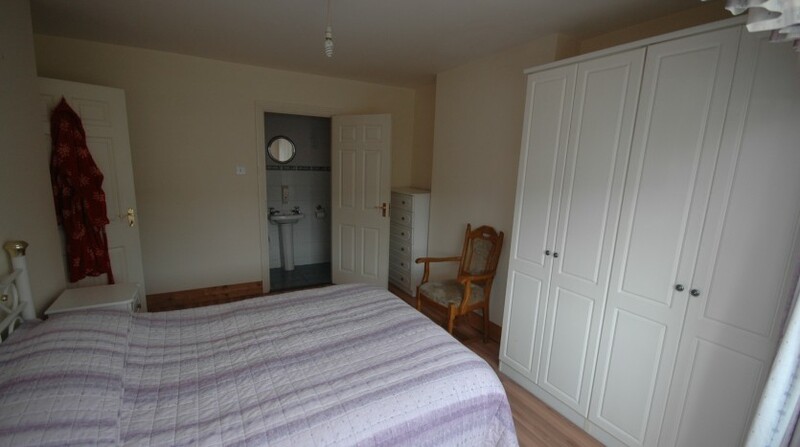 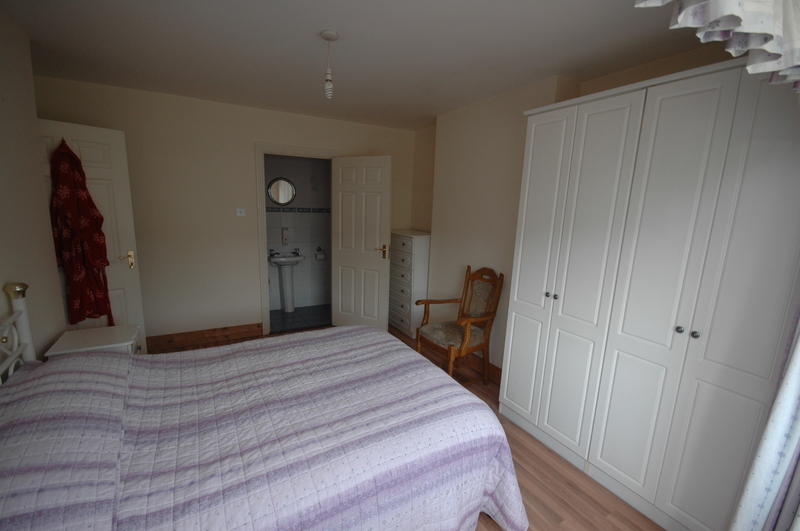 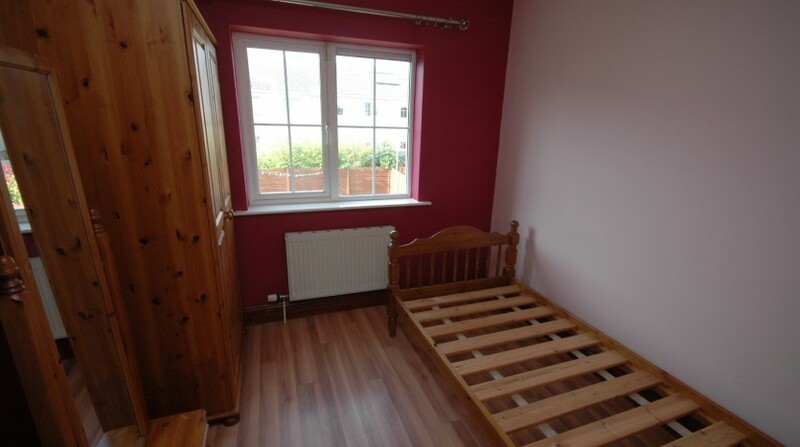 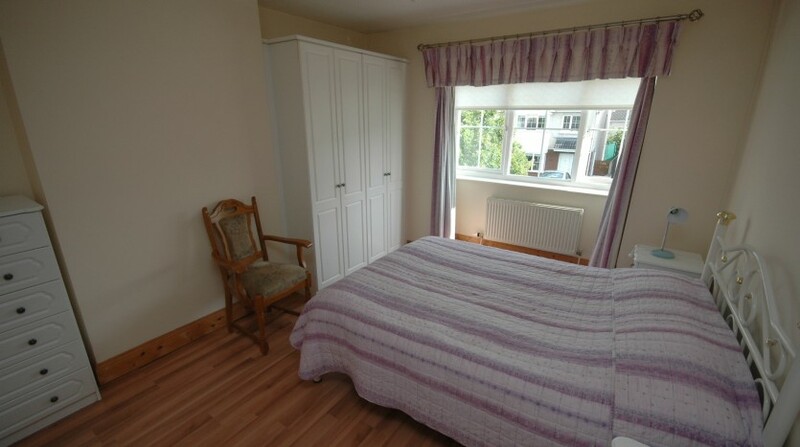 Main bedroom: Laminate wood floors, bay windows, built in wardrobes. 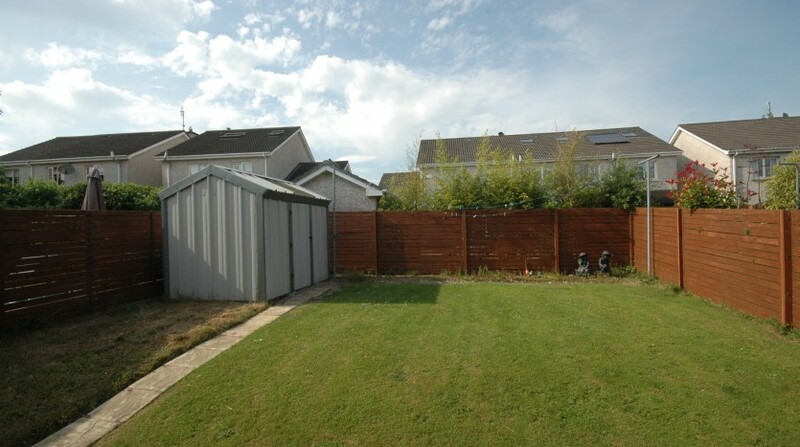 3.6m x 4.6m. 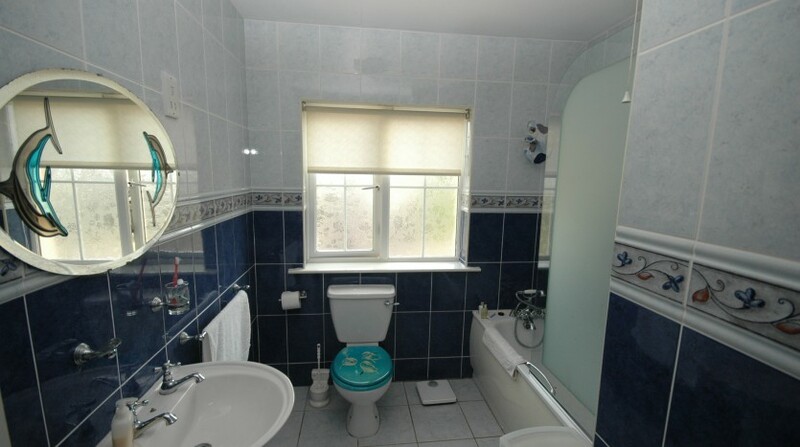 Ensuite: tiled floor and shower.